We review five of the most popular Infiniti G35 coilovers available on the market today. This is the ultimate G35 coilover guide. Whether you’re intending to throw your G35 sideways, hoping to beat your best lap times at the track, settle for a nicer ride-height or go full-retard with the hellaflush stance look, we’ve got you covered! The G35 handles well out of the factory, but it was also made with the daily commute in mind. Some of the coilovers we mention still enable you to maintain an enjoyable daily ride quality, while others will give you all of the adjustments you could possibly need for the ultimate track setup. Not only will you be upgrading your suspension, you’ll also be updating the tired shocks and springs that most likely left your car from the factory while adding full adjustability to tweak the settings to perfection. Here’s your chance to unleash the potential of your G-series handling with our ultimate G35 coilover guide! This guide was written to help you find your perfect set of G35 coilovers. We will be focusing on suspension specifications, features, construction materials, spring rates and manufacturer descriptions. For each set of coilovers we also add our own comments. In addition we have given each suspension system a Drifted rating (1-5) based upon features and price. We are considering budget, mid-range and high end coilovers in this comparison. To read more about any of these products just click on the coilover name or photo. 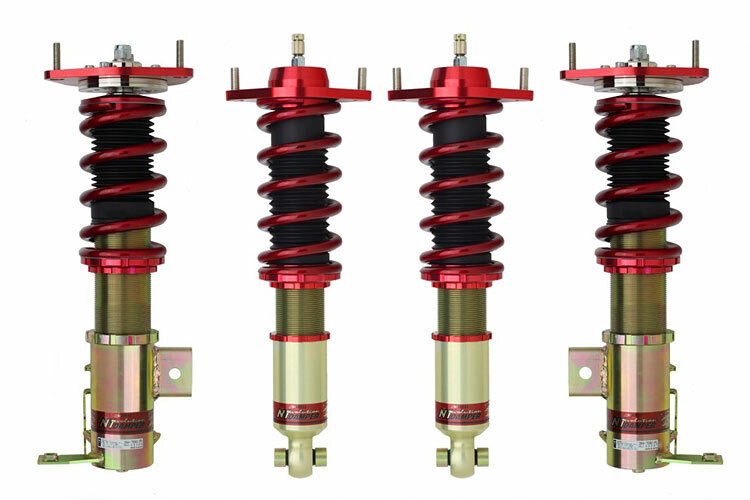 Our comment: Our first set of coilovers are produced by Japanese tuning giant APEXi. These coilovers are a great out of the box option for a no thrills sports setup. These would be suitable for anybody looking to improve the looks and handling of their G35 for a reasonable budget. They are the cheapest coilovers in our guide and offer good value for money. Our comment: The Tanabe Sustec Pro FIVE is a mid-range coilover. The design features twin tube coilovers coupled with Tanabe’s Slide Valve Technology. This technology comes directly from their Pro SEVEN coilover kit but it is at a more affordable price point. Something that makes this kit stand out is the compatibility with Tanabe’s TEAS electronic suspension controller. This gizmo (once mounted in the car) allows for remote suspension setup on the fly. It sounds like a slice of Formula One in your G35! Very cool. Our comment: The Stance XR coilovers are a solid choice. 12 way damping adjustment, highly regarded SWIFT springs as standard and robust build materials makes the Stance XR’s a great option for any G35. They lose out slightly on points as they don’t have a killer feature like the Tanabe Sustec’s TEAS system nor as they as cheap as the APEXi ExVs. Levels of damping adjustment: ? Spring rate rear: ?kg/mm ? 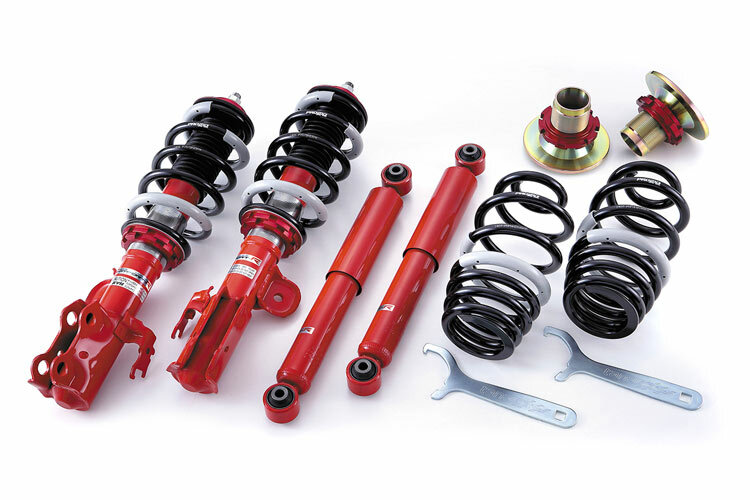 Our comment: H&R is a German brand that has been manufacturing high quality suspension components since the 1970’s. 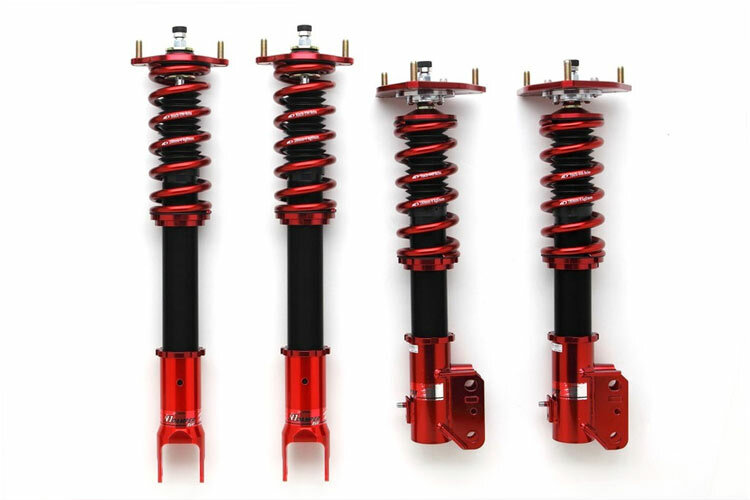 These monotube constructured and street focused coilovers are another solid entry level coilover set for your G35. While a little sparse in the features department, H&R have a built great reputation for the quality of their products. Our comment: Serious about the track? These coilovers could be just what you are looking for. Stepping into the higher end of the suspension market, the APEXi N1 Evolution coilovers offer thick monotube dampers, 20 way adjustment and full dual height adjustment means that you (or your engineer) can tweak the suspension settings to your hearts content. If you are serious about your track work this level of suspension fine tuning is a very powerful tool for reducing your lap times and building confidence in your car. Our winner is the APEXi N1 ExV Damper Coilover Kit. Based upon specifications, features, quality of build materials and the low price point our winner is the APEXi N1 ExV Damper Coilover Kit. 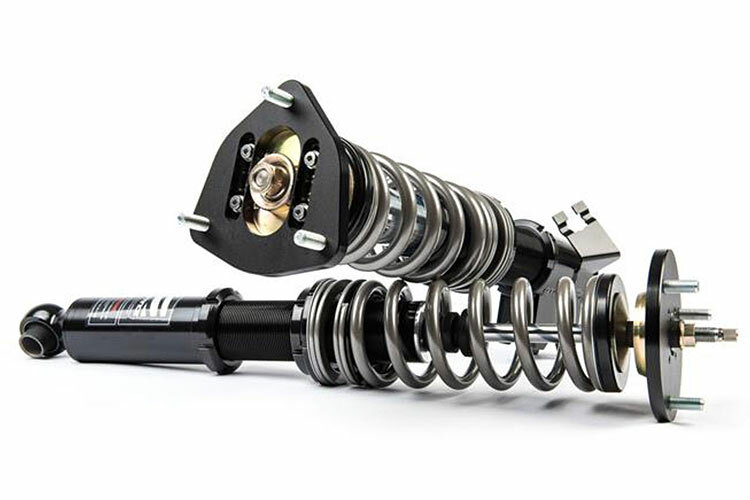 The ExV’s are a solid coilover packed with features and at a price point that can’t be challenged. A clear winner in this guide. One clear runner up to the APEXi ExVs is the circuit-oriented APEXi N1 Evolutions. 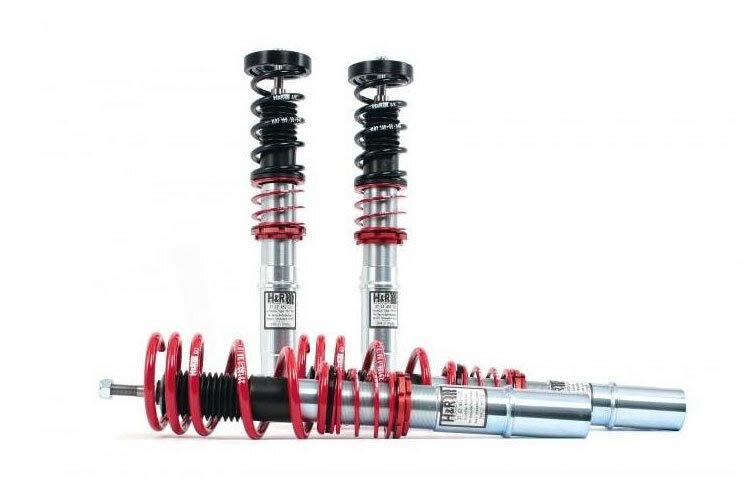 These high end coilovers would be the perfect fit for a G35 owner that is serious about track work. Now that you’ve sorted your G35’s suspension why not add some power? Like things on the loud side – our G35 exhaust guide is right up your street. Need an intake? Try our G35 cold air intake guide. Do you own a Nissan 350z? Need a suspenion tune up? Try our 350z coilover guide.